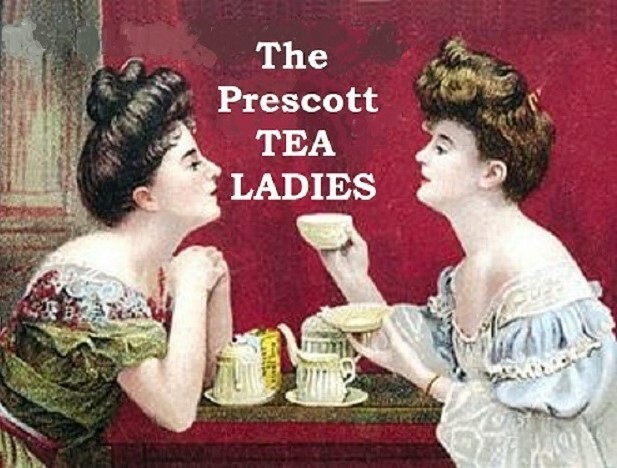 The Prescott Tea Ladies - Contact/Join Us! And you can even join the fun! Annual RWOP Tea 2017, Hassayampa Inn, Prescott, Arizona. The Tea Ladies (and Gentlemen) perform in the finale of "Put On Your Sunday Clothes" from the Broadway hit "Hello, Dolly." The musical Style Show production was written and produced by the Prescott Tea Ladies, and featured historical fashions from the Golden Age, 1890's-1910. Cell: 928-308-8040 (Please call to talk, or leave a voice message for a call back. your knowledge and interests with others, please join us! Inquiries are always welcome at the above phone number and email address.